Public Impact (2018): Closing Achievement Gaps in Diverse and Low-Poverty Schools: An Action Guide for District Leaders. Chapel Hill, NC: Public Impact and Geneva, Switzerland: Oak Foundation. This report suggests that higher-income schools and districts also can do more to support low-income, black, and Latino students. Closing income and racial achievement gaps in middle-class districts requires district leaders to create a "culture of equity," supporting students' basic physical and social-emotional needs while ensuring that district policies provide all students with access to rigorous coursework. Stipek, D., Clements, D., Coburn, C., Franke, M. and Farran, D. PK-3: What Does it Mean for Instruction? Social Policy Report 30:2 (2017). Ann Arbor, MI: Society for Research in Child Development. PK–3 has become a rallying cry among many developmental scientists and educators. A central component of this movement is alignment between preschool and the early elementary grades. 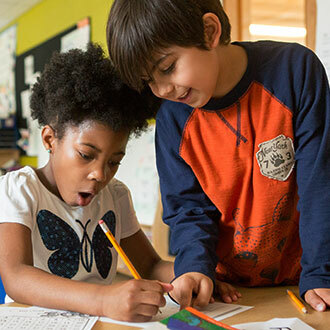 Many districts have made policy changes designed to promote continuity in children's educational experiences as they progress from preschool through third grade — to provide children with a seamless education that will sustain the gains made in preschool and lead to better developmental and learning outcomes overall. This report addresses the issues facing school districts seeking to promote continuity in children’s educational experiences as they progress from preschool through third grade in hopes of providing a seamless education that sustains gains made in preschool and leads to better developmental and learning outcomes. The report considers ways in which schools might seek to achieve continuity in parents’ and children’s experiences and proposes specific state and district policies and school practices to promote continuous and meaningful learning opportunities. Jennifer L. Steele, Robert Slater, Gema Zamarro, Trey Miller, Jennifer J. Li, Susan Burkhauser, Michael Bacon. Dual-Language Immersion Programs Raise Student Achievement in English (2017). Rand Corporation Research Brief. English learners assigned to dual language immersion were morelikely than their peers to be classified as English proficient by grade 6. This effect was mostly attributed to English learner students whose native language matched the classroom partner language. Under the Every Student Succeeds Act (ESSA), policymakers have the flexibility to incentivize districts and schools to make long-term investments in building students’ knowledge and vocabulary. This brief offers seven flexible, adaptable recommendations that will lead to better reading comprehension. 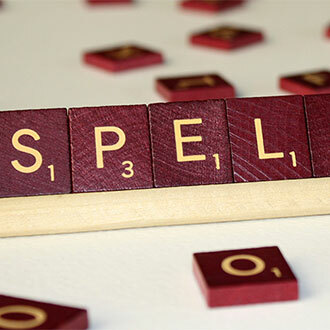 With ESSA, states have the flexibility to rethink how reading test results are used, and to support schools in developing children with both strong word-reading skills (e.g., decoding) and a substantial foundation of academic knowledge and vocabulary. 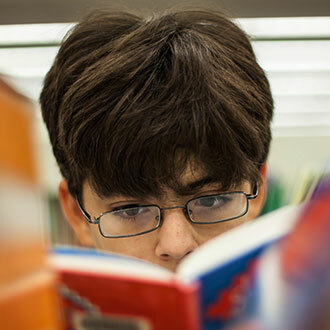 Given the large knowledge and vocabulary gaps that already exist when children enter school, systematically building skills, knowledge, and vocabulary throughout the elementary grades is our best hope for closing the reading achievement gap. Educational researchers and practitioners assert that supportive school and classroom climates can positively influence the academic outcomes of students, thus potentially reducing academic achievement gaps between students and schools of different socioeconomic status (SES) backgrounds. Nonetheless, scientific evidence establishing direction links and mechanisms between SES, school climate, and academic performance is inconclusive. This comprehensive review of studies dating back to the year 2000 examined whether a positive climate can successfully disrupt the associations between low SES and poor academic achievement. Positive climate was found to mitigate the negative contribution of weak SES background on academic achievement; however, most studies do not provide a basis for deducing a directional influence and causal relations. Additional research is encouraged to establish the nature of impact positive climate has on academic achievement and a multifaceted body of knowledge regarding the multilevel climate dimensions related to academic achievement. Farbman, D. (February 2015) The Case for Improving and Expanding Time in School: A Review of Key Research and Practice. National Center on Time and Learning: Boston (MA). Both research and practice indicate that adding time to the school day and/or year can have a meaningfully positive impact on student proficiency and upon a child’s entire educational experience. This survey of the research looks at how high-performing schools are using the extra time, particularly schools that serve large populations of low-income, at-risk students. Instructional time of at least 300 more annual hours than the conventional is one of the strongest predictors of higher achievement. Clifford, K., Christeson, B., O'Connor, J. (2015) Not Getting Our Money’s Worth: An Outdated School Schedule Is Costing New York $2.3 Billion a Year. Washington, D.C.: ReadyNation. This report spotlights the many reasons why six-hour school days and nine-month school years were better suited to the nation's agrarian past than to the 21st century's demands and opportunities. U.S. schools are losing an estimated $21 billion each year because of summer learning loss among children from lower-income families. The report advocates adding more and higher quality learning time, with an emphasis on improved curriculum, more effective teaching, more enrichment activities, and better accountability. Lesaux, Nonie K. PreK-3rd: Getting Literacy Instruction Right. New York: Foundation for Child Development, 2013. 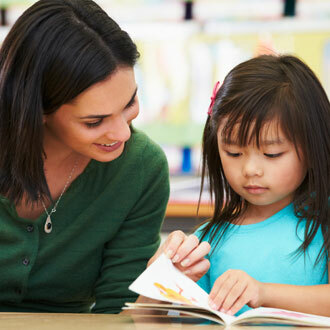 This brief outlines the elements of strong PreK-3rd literacy instruction including: what high-quality instruction looks like,what supports enable teachers to carry out strong literacy instruction, and what policies enable schools to carry out strong PreK-3rd reading instruction. High-quality, coordinated PreK-3rd literacy instruction expands children’s cognitive capacities, develops language and vocabulary, and prepares them to read advanced texts. These skills provide a sturdy foundation for school success and expanded life opportunities. Kosanovich, M. (2012). Using Instructional Routines to differentiate instruction. A guide for teachers. Portsmouth, NH: RMC Research Corporation, Center on Instruction. The Center on Instruction released a publication to help educators plan differentiated instruction using 72 formatted activities called Instructional Routines, which provide a structure for teaching specific foundational reading skills. Included is a table which displays the alignment between the Instructional Routines and the Common Core State Standards organized by the five reading components (phonemic awareness, phonics, fluency, vocabulary, and comprehension). This resource provides support in the alignment of instruction in schools that are implementing School Improvement Grants (SIG) and/or College and Career Ready Standards (including Common Core State Standards). Weiss, H.B., Lopez, M.E., & Stark, D.R. (2011) Breaking new ground: Data systems transform family engagement in education. Cambridge, MA: Harvard Family Research Project. 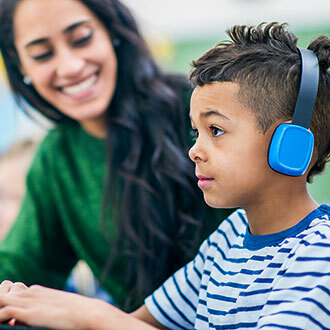 A new policy brief from the Harvard Family Research Project and the National PTA highlights ways that data can be used to engage families and improve parent–teacher communication. 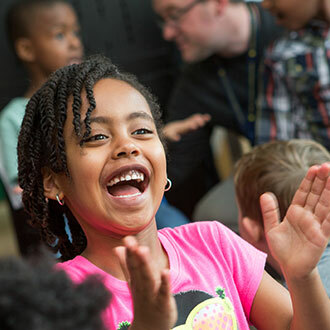 The brief describes three key elements of a data system (access, understanding, and action) and cites six case studies demonstrating how early childhood programs and school districts are using data systems to improve family engagement. One example: a pre-K program in Colorado that uses children's drawings as data, allowing early childhood teachers and parents to track a child’s developmental progress. Henderson, Ann. Family-School-Community Partnerships 2.0: Collaborative Strategies to Advance Student Learning (2011). National Education Association: Washington DC. This report identifies and describes key partnerships that National Education Association members have forged in 16 communities to help close achievement gaps, improve low-performing schools, and transform relationships between schools and their communities. Part I of this report reviews recent research on school and family collaboration and presents 10 key strategies for creating effective family- school-community partnerships that are focused on advancing student learning. It also includes recommendations for moving this important work forward. Part II contains profiles for each of the 16 partnership programs. In many cases, Association members have been catalysts for or taken on key roles in these effective programs. These profiles demonstrate very clearly that family-school-community partnerships with a central focus on advancing student learning can have a powerful impact. Schwerdt, G. and West, M. (2011). The Impact of Alternative Grade Configurations on Student Outcomes Through Middle and High School. IZA Discussion Paper No. 6208. While policymakers and researchers alike have focused on improving students' transition into high school, a new study of Florida schools suggests the critical transition problem may happen years before, when students enter middle school. Chetty, R., Friedman, J.N. and Rockoff, J. (2011), The Long-Term Impacts of Teachers: Teacher Value-Added and Student Outcomes in Adulthood, NBER Working Paper 17699. Elementary- and middle-school teachers who help raise their students' standardized-test scores seem to have a wide-ranging, lasting positive effect on those students' lives beyond academics, including lower teenage-pregnancy rates and greater college matriculation and adult earnings, according to a new study that tracked 2.5 million students over 20 years. This study shows that great teachers create great value — perhaps several times their annual salaries — and that test score impacts are helpful in identifying such teachers. Nevertheless, it is clear that improving the quality of teaching — whether using value-added or other tools — is likely to have large economic and social returns. Stepanek , J, Raphael , J, Autio, E, Deussen, T, & Thomps, L. (2010). Creating schools that support success for english language learners. Lessons Learned, 1(2), Education Northwest. Lessons derived from Education Northwest's research, evaluation, and technical assistance experiences are intended to address questions that administrators may have about how to mitigate barriers to the linguistic and academic achievement of ELLs. They will also help leaders provide better support to teachers as they learn and implement evidence-based instructional practices for ELLs. Literacy Collaborative. (2009). The Positive Effects of Literacy Collaborative on Teaching and Student Learning. Cambridge, MA: Literacy Collaborative. New results from a four-year longitudinal study of 17 schools in the East Coast suggests that in-school literacy coaches can help boost student reading skills by as much as 32 percent in three years. Teacher expertise increased substantially, and the more coaching a teacher received the stronger the growth. Additional benefits: communication among teachers increased and the literacy coordinators became more involved in the critical conversations. This guide offers five recommendations to help educators effectively use data to monitor students' academic progress and evaluate instructional practices. The guide recommends that schools set a clear vision for schoolwide data use, develop a data-driven culture, and make data part of an ongoing cycle of instructional improvement. The guide also recommends teaching students how to use their own data to set learning goals. Shuler, C. (2009). iLearn; A Content Analysis of the iTunes App Store's Education Section. New York: The Joan Ganz Cooney Center at Sesame Workshop. This week, the Joan Ganz Cooney Center at Sesame Workshop released iLearn II: An Analysis of the Education Category of Apple's App Store, an examination of nearly 200 top-selling education category apps for Apple's iPad and iPhone with the goal of understanding this market's dynamics and trends. The analysis highlights industry best practices and future opportunities for developers, educators and researchers to influence this important, but under-scrutinized category by closely examining the content of children's apps within the education category. Gersten, R., Baker, S.K., Shanahan, T., Linan-Thompson, S., Collins, P., & Scarcella, R. (2007). Effective Literacy and English Language Instruction for English Learners in the Elementary Grades: A Practice Guide (NCEE 2007-4011). Washington, DC: National Center for Education Evaluation and Regional Assistance, Institute of Education Sciences, U.S. Department of Education. Retrieved from http://ies.ed.gov/ncee/wwc/publications/practiceguides. National Center on Education and the Economy. (2007). Tough Choices or Tough Times: The Report of the New Commission on the Skills of the American Workforce. Jossey-Bass: Hoboken, NJ. America's approach to education has lagged behind as industry and technology has continued to advance. To truly prepare student's for the 21st century workforce, and to remain competitive in the global economy, the National Center on Education and the Economy has ten policy recommendations for America's schools. Kirsch, I., Braun, H. Yamamoto, K and Sum, A. (2007) America's Perfect Storm: Three Forces Changing Our Nation's Future. Princeton, NJ: Educational Testing Service. This report from ETS says we are in the midst of a perfect storm, a confluence of three powerful forces: divergent skill distributions, the changing economy and demographic trends. It projects the impact of these interactions upon the nation 25 years into the future, and sets out the challenges facing schools in America with up-to-date statistical info and comparisons with other developed countries. National Association of Elementary and Secondary School Principals. (2006). Leading After-School Learning Communities: What Principals Should Know and Be Able to Do. Washington DC: National Association of Elementary and Secondary School Principals. By collaborating with afterschool programs and accepting them as vital partners in education, principals can strengthen their schools and move closer to the overriding, common goal of maximizing learning for every child. Sink, C.A., and Stroh, H.R. (2003). Raising Achievement Test Scores of Early Elementary School Students Through Comprehensive School Counseling Programs. Professional School Counseling, 6(5), 350-364. This study shows that early elementary-age students enrolled for several years in schools with well-established comprehensive school counseling programs produce higher achievement test scores over and above those continuously enrolled children in non-CSCP schools.